Gujarat legislator Chottubhai Vasava, acting President of Sharad Yadav faction of the Janata Dal (United), on Tuesday moved the Delhi High Court challenging the Election Commission (EC) order of granting the party’s “arrow” symbol to the faction led by Bihar Chief Minister Nitish Kumar. The Commission on November 17 had rejected Sharad Yadav’s faction claim to JD-U symbol and recognised Nitish Kumar-led faction as the “real party” and hence entitled to use the party’s “arrow” poll symbol. The EC had said that the group led by Nitish Kumar has demonstrated overwhelming majority support in the legislature wing as well as majority in the National Council of the party, which is the apex-level organisational body of the party. 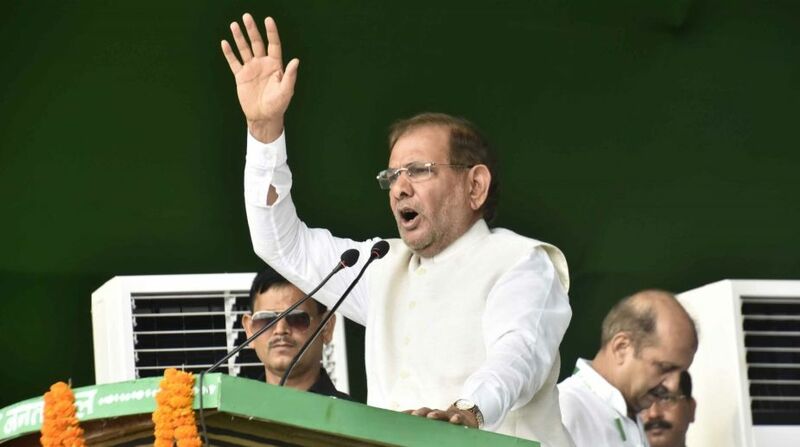 Sharad Yadav, a former President of the JD-U, broke away from Chief Minister and JD-U President Nitish Kumar after the latter joined the Bharatiya Janata Party (BJP)-led National Democratic Alliance (NDA) in July this year. The Election Commission had referred to the Supreme Court’s verdict wherein the apex court upheld the principle of test of majority support in the organisational and legislative wings. The High court would hear the case on Wednesday.